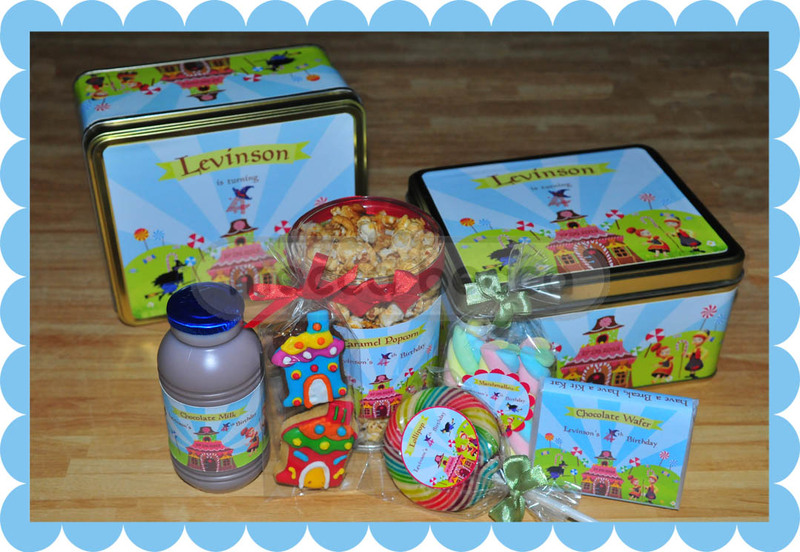 Levinson is turning 4 ! 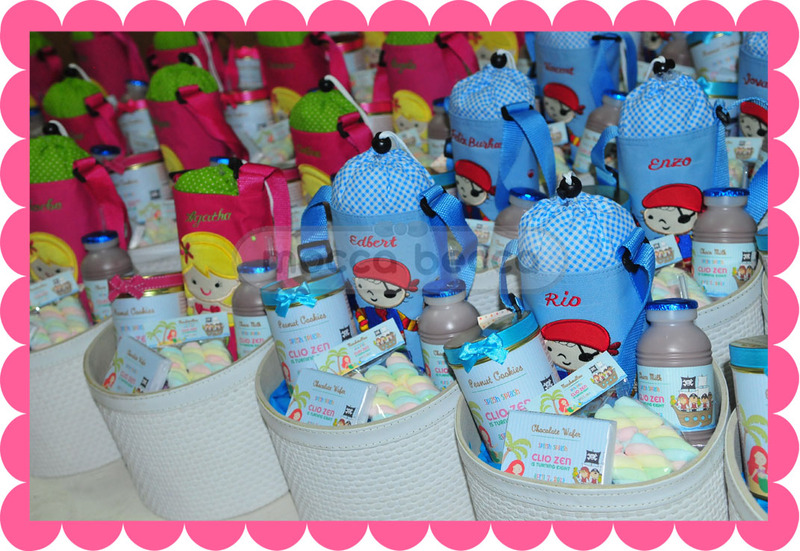 Ordered by mommy Hanny, with requested in Hansel & Gretel theme, candy house and witch. 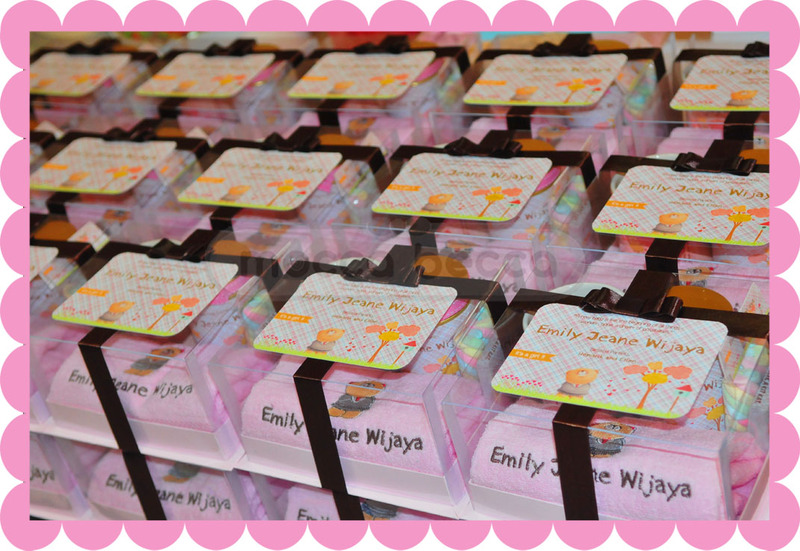 1 kitkat bar + 1 plastic pack marshmallow + lollipop candy. 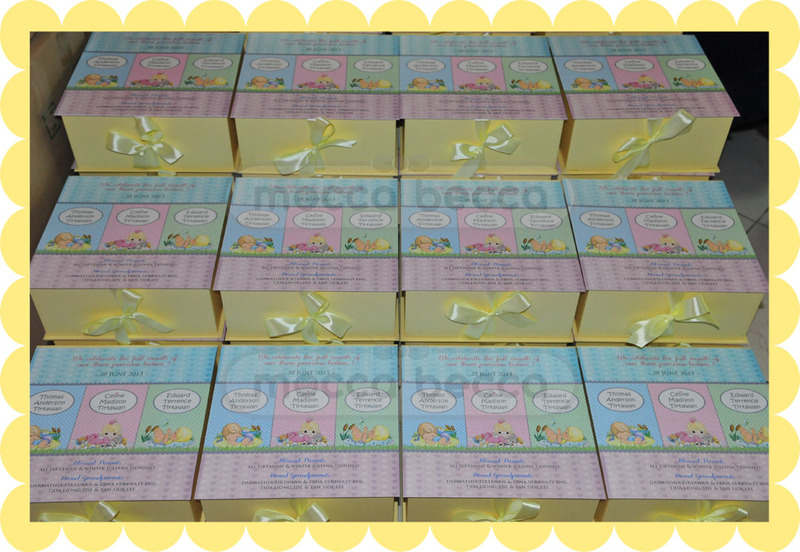 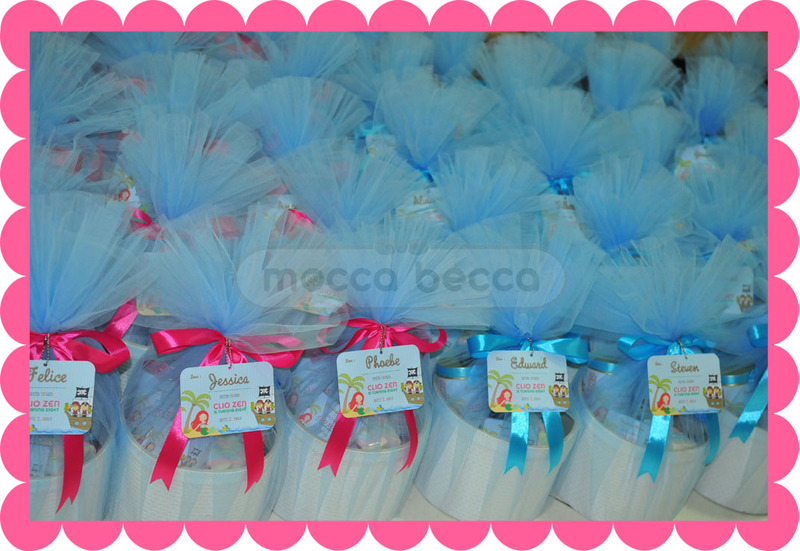 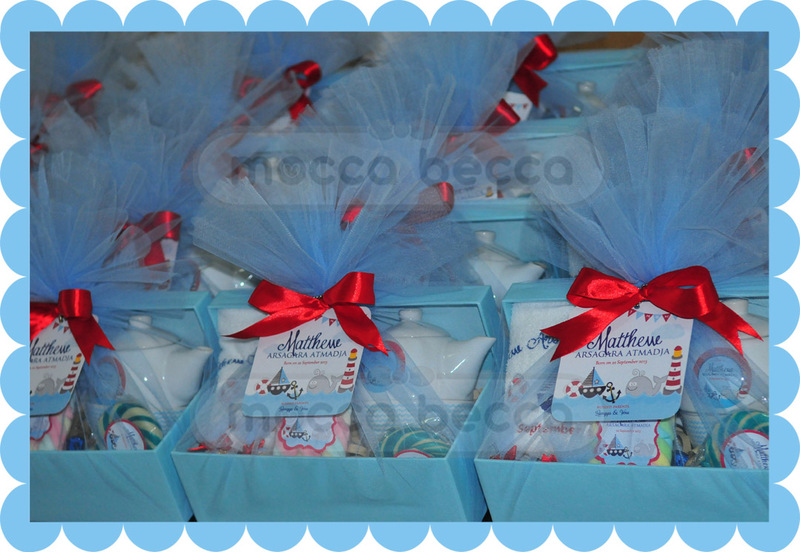 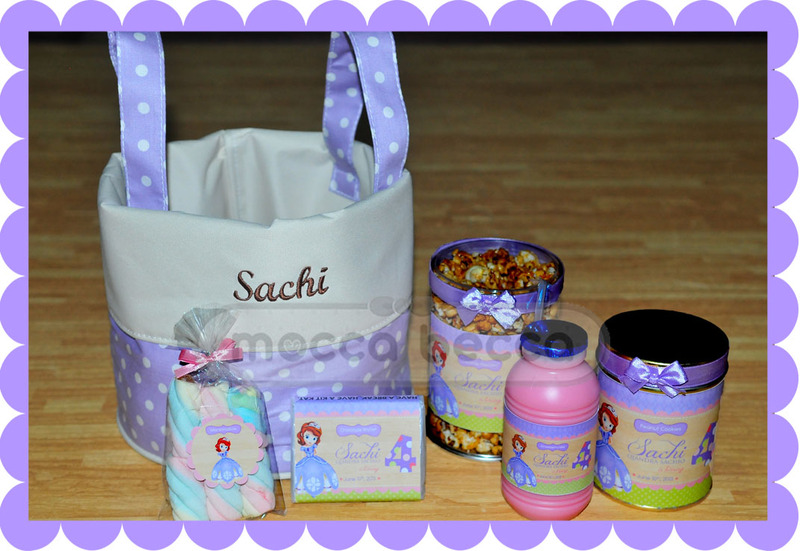 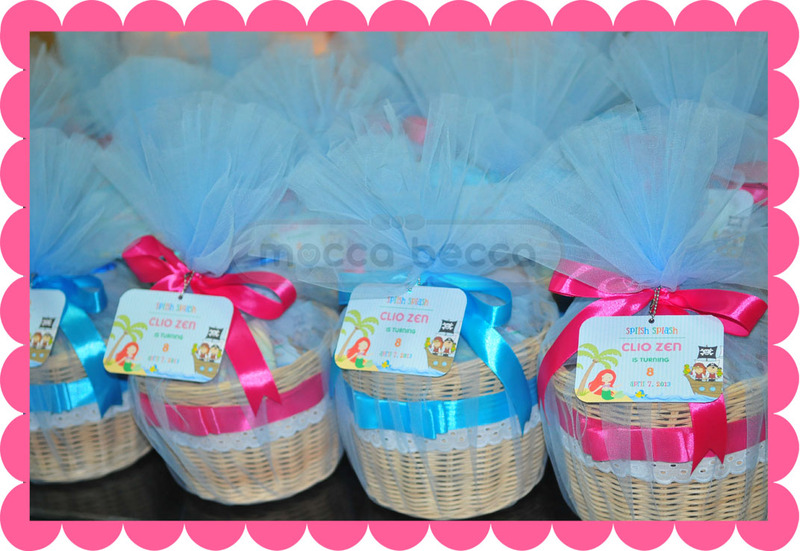 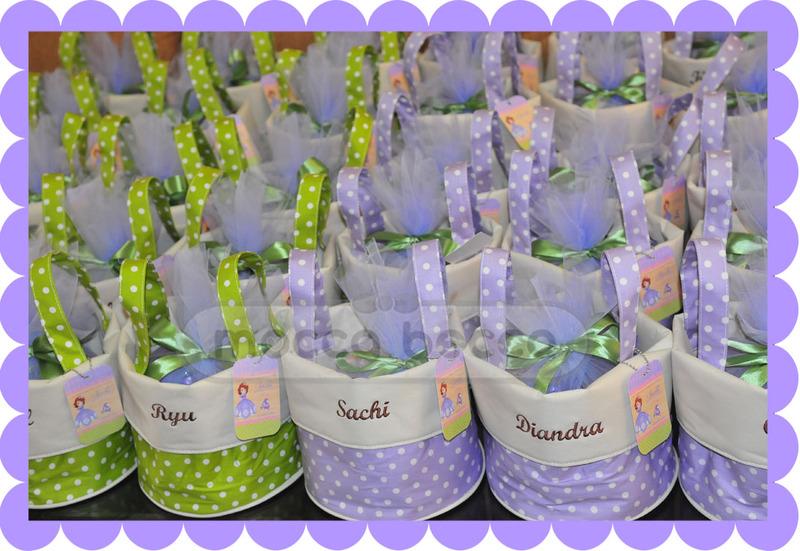 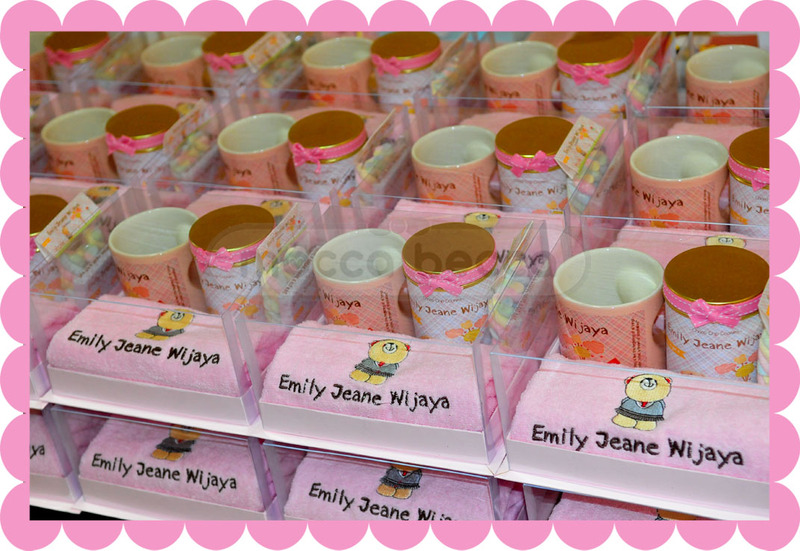 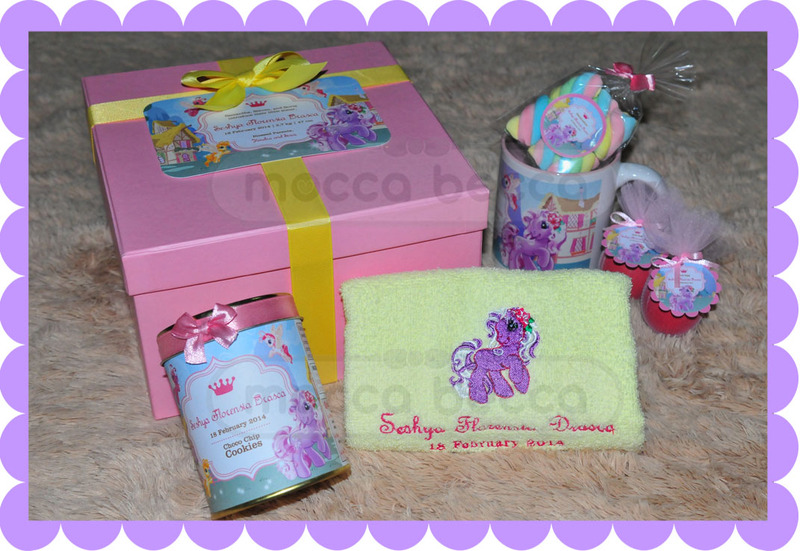 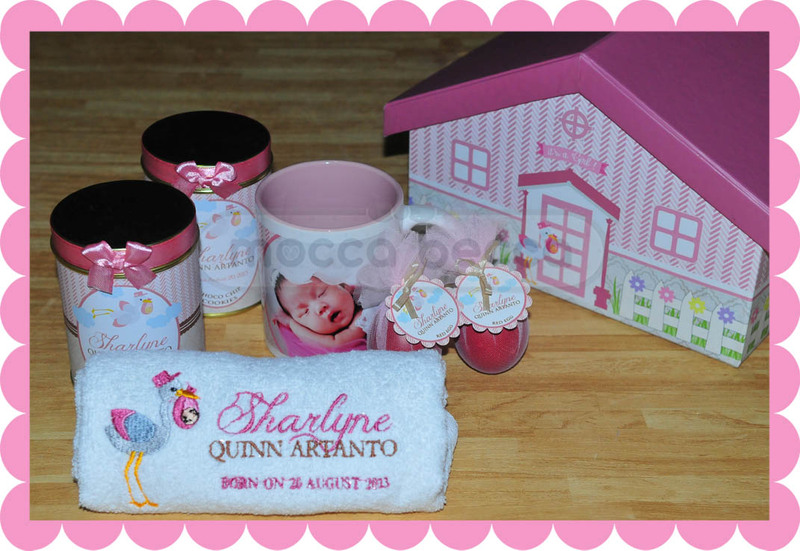 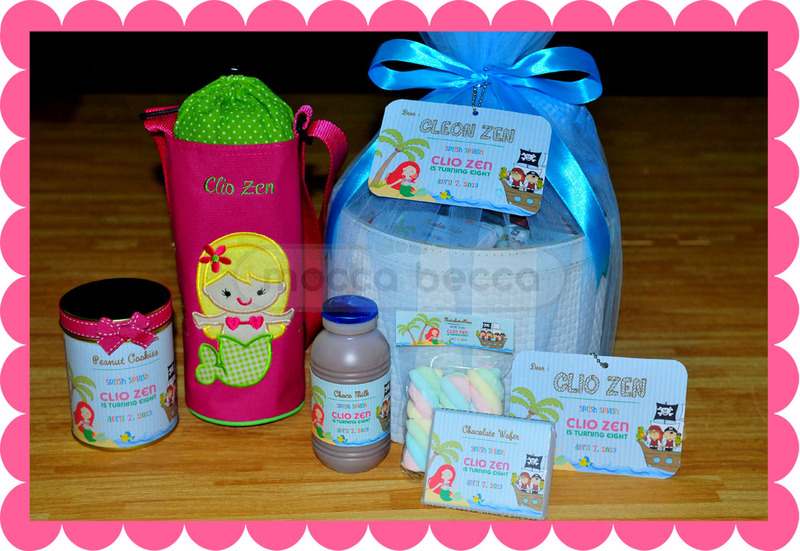 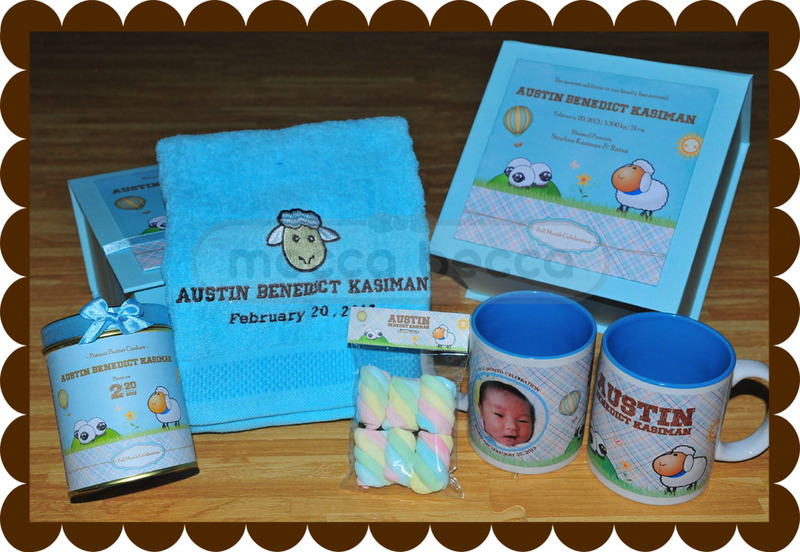 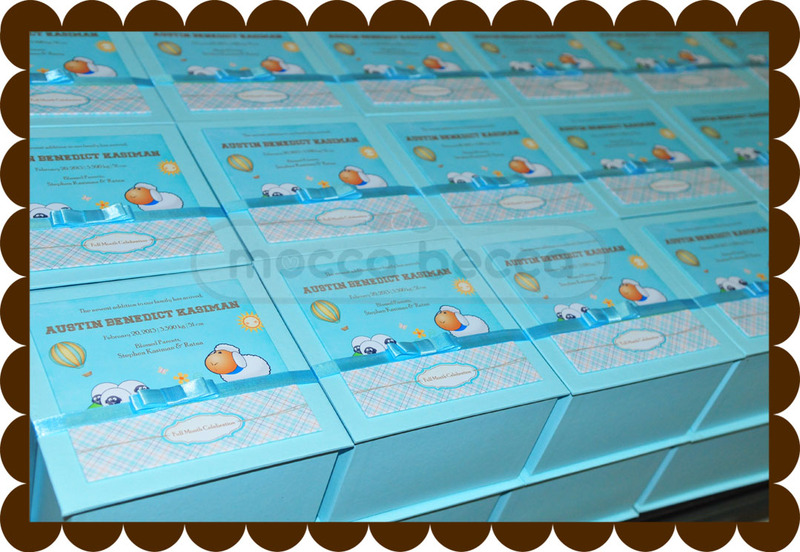 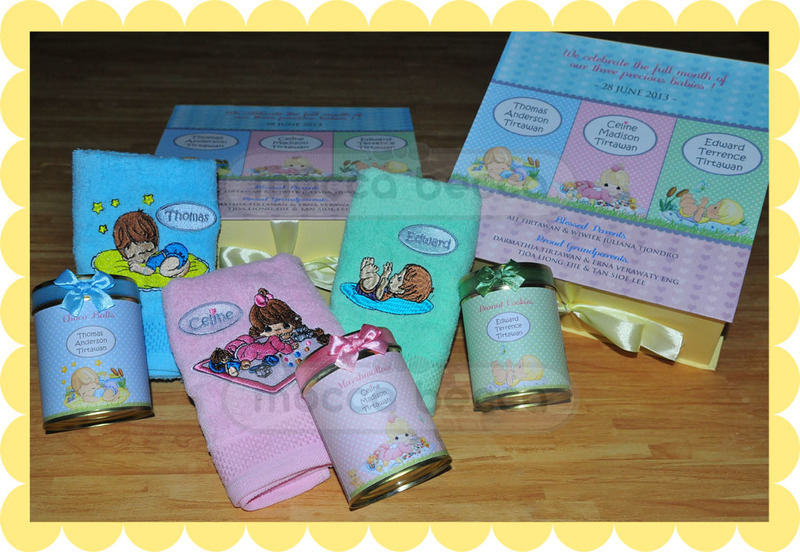 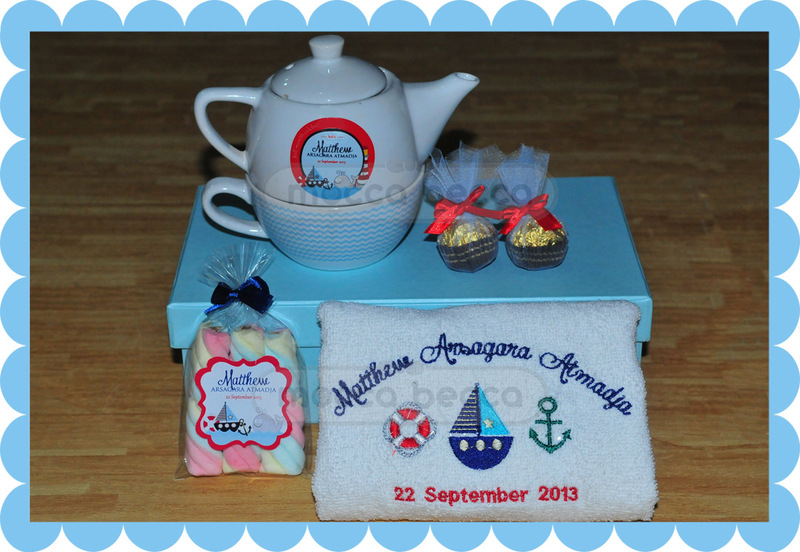 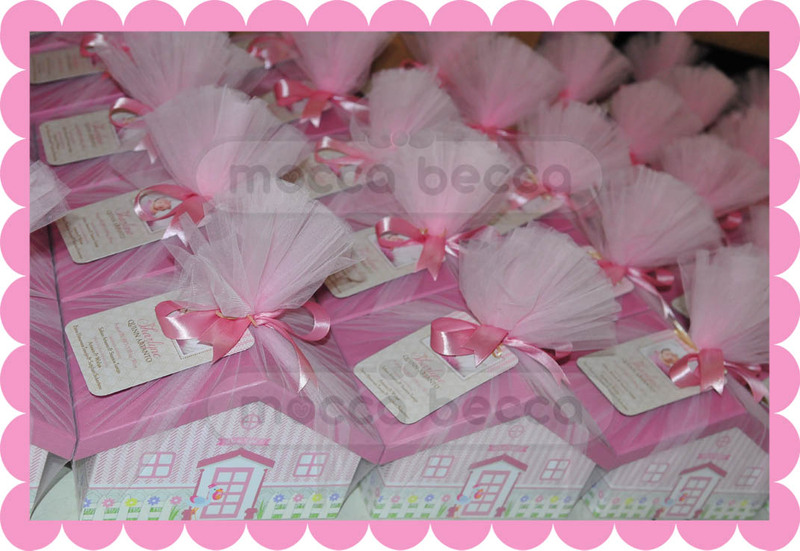 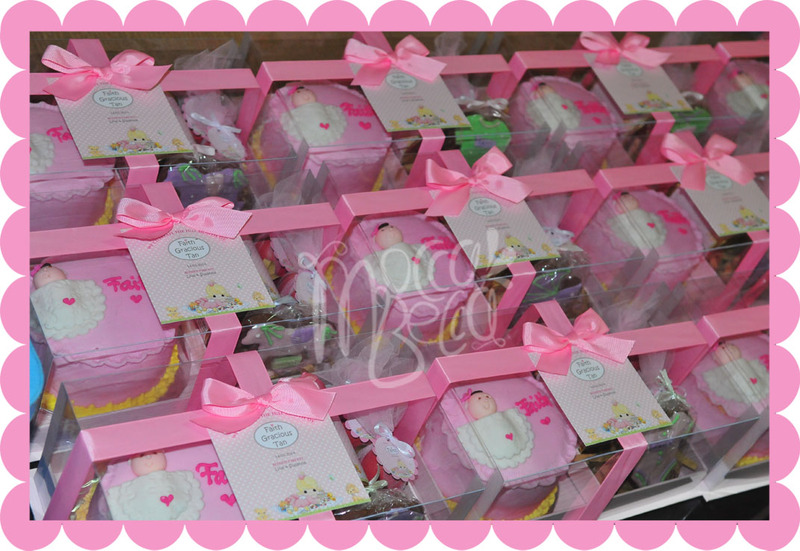 Sharlyne Quinn’s one month hampers. 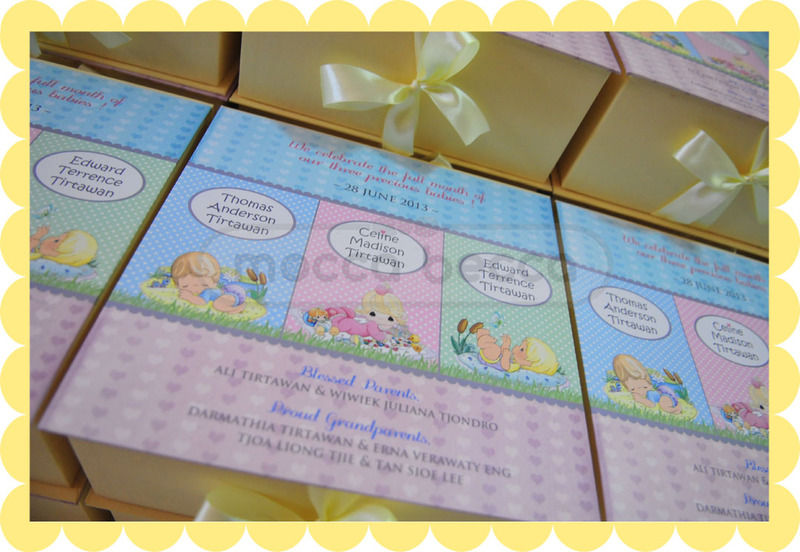 Ordered by mommy Stannia, with request stork and baby girl, in pink and beige color. 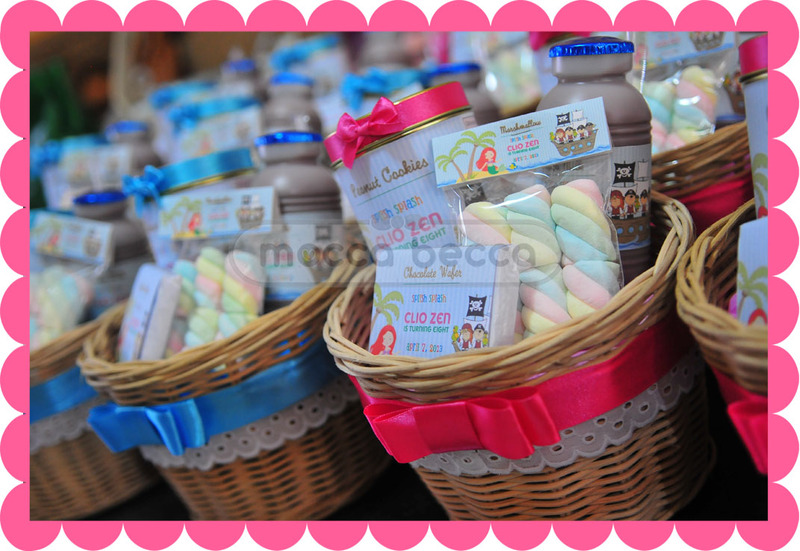 1 tin can choco cookies + 1 tin can marshmallow + 2 red eggs. 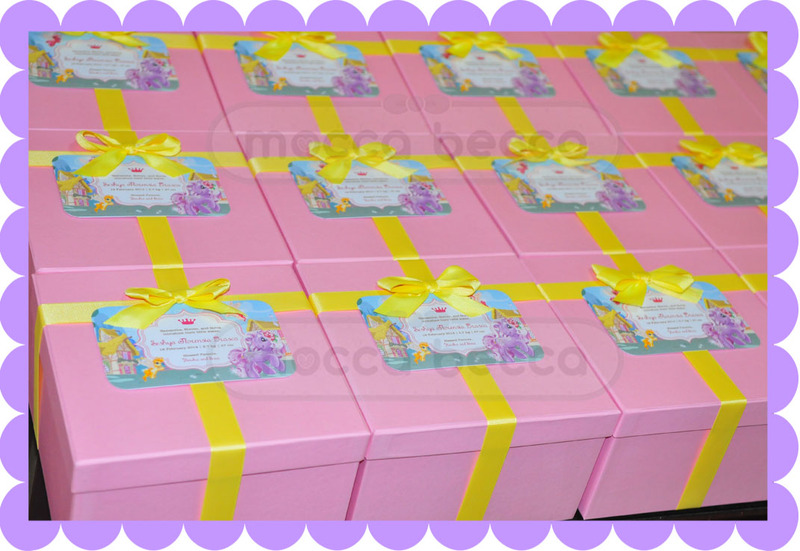 Ordered by mommy Ellen, with ‘forever friend’ theme. 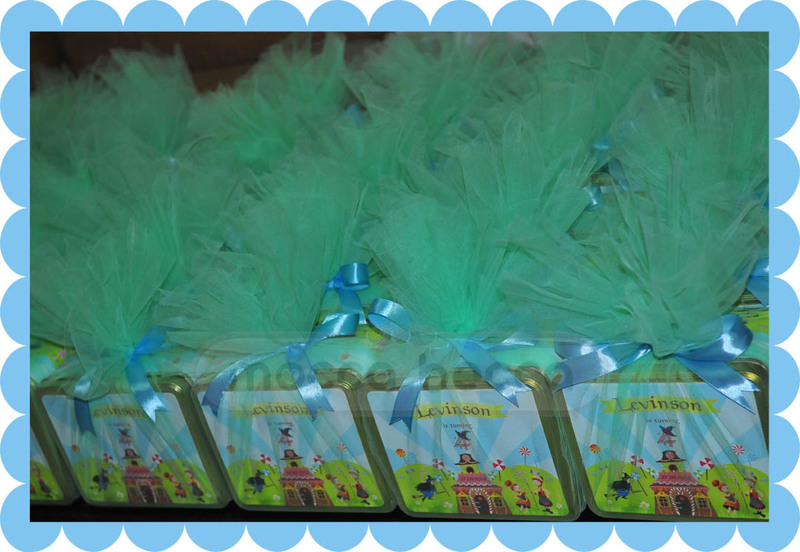 1 tin can choco chip cookies + 1 kitkat bar 4F + 1 kitkat bar 4F.